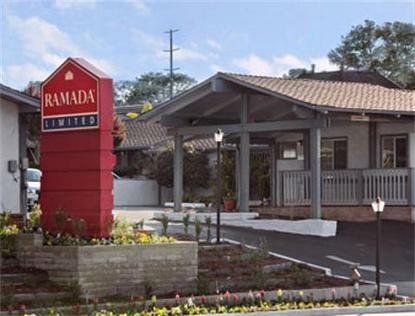 Ramada Limited Monterey hotel is centrally located off Highway 1 &amp 68 in Monterey California. When vacationing or traveling on business, few hotels or city's can offer you the opportunities as our hotel does. Ramada Limited Monterey hotel is located within minutes of the internationally acclaimed Monterey Bay Aquarium and the Maritime Museum of Monterey. Another major attraction is Pebble Beach, with its architectural elegance, resorts and private homes along the 17 mile drive. Fishermans Wharf and Cannery Row offers exciting glimpses of a seafarers life, in addition to shopping and fine dining. Other points of interest are Big Sur, Carmel and Moss Landing - Yacht Harbor. Enjoy our heated pool April through October and hot tub, Complimentary Deluxe Continental Breakfast and inviting hotel rooms with our free wireless high speed internet. Whatever you may choose to do with your time here, please relax and take a deep breath or two of our clean ocean air.